We frequently hear that feeding a preschooler ends up with parents having to offer food such as chicken nuggets, bought hot chips and white bread with plain spreads! 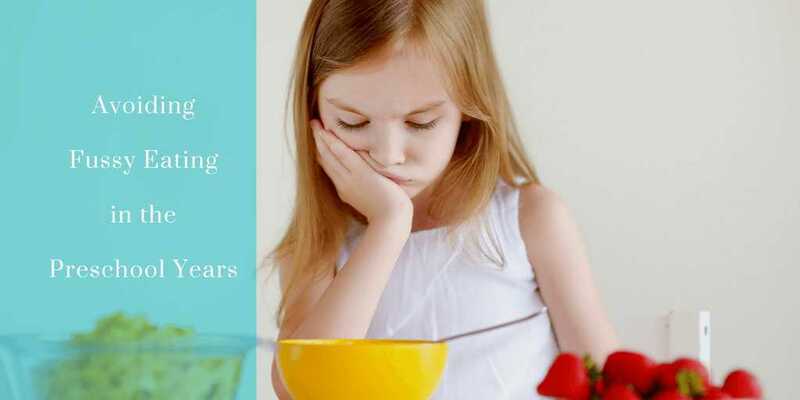 Fussy eating in the preschool years “can be typical” but it becomes a “problem” when a child’s diet is so restrictive that it impacts on the family’s ability or it is causing the child or family undue stress. ​Can Fussy Eating Preschoolers actually have Chewing and Swallowing Problems? ​From a oro-motor or eating skill perspective, by preschool a child should be able to physically manage most to all foods offered in terms of textures. However, some preschoolers present with delays in the type of swallow or the type of chew being used. What might on the surface look like fussy eating in preschool years continues to be immature eating skills for their age. They become either consciously or unconsciously are aware of foods they can and cannot manage. A Preschooler presenting with fussy eating that is becoming an issue for your household or the child’s health may require a feeding assessment by a child speech pathologist experienced in this area. ​If fussy eating in the Preschool years becomes a battle of wills, longer term eating concerns can result. ​Can eating problems in the pre-school years impact on speech clarity? ​Sometimes speech sound difficulties such as poor production of sounds or lisping (e.g. tongue protrudes as they say the /s/ sound) may be linked back to swallow concerns. Elimination of the potential influence of tongue-tie should also be considered. These poor swallowing and chewing issues are thought by some to impact on dentition at a later stage. ​Do Pre-school children always eat when they are hungry? ​Most Preschool children will eat when they are hungry. HOWEVER, some children that we see at SpeechNet WILL NOT OR DO NOT eat! These children are what we call true fussy eater or aversive eaters. If you child is not eating sufficiently or nutritionally it is very important to talk to your GP. We have Speech Therapists and Dietitians that can assist. The goal is to look for underlying issues (e.g. sensory, chewing problems, routing issues, allergies) and then provide a programme to overcome the fussy eating. Your appetite and interest in some foods go up and down over time – Preschoolers can have the same ups and downs in their appetites. When possible offer food (meals and snacks) around the same times every day. If your Preschooler chooses not to eat a meal, knowing you will be able to offer a regular snack within a short period can reduce you worries. Offer nutritious food for snacks so that if meals are small you can be assured they are getting good quality of food. Keeping some routine when you offer drinks e.g. milk or 100% juice with the food but offer water between meals and snacks stops them “filling up” on drinks rather than eating. ​Even encouraging Preschoolers and toddlers to touch or smell new foods can reduce the likelihood of fussy eating. Praise them for even putting new foods to their lips or tasting very, very small amounts. If they do not feel pressured to eat these “strange” foods they may be more willing to experiment with them before they are offered as part of their diets. ​Talking about a food's colour, shape, smell and feel is a great way to reduce the risk of fussy eating. Try not to focus just on the taste or how much they are eating. Pair new foods when offering “old accepted” foods. Ensure both are healthy choices of course so they are not going to just eat the ice-cream!!! Try not to be pander to the Preschooler as they change their mind about what they are willing to eat! Preparing a separate meal for your child after he or she rejects the original meal might promote picky eating. There is a rule of thumb – parents decide on where and what is offered at meal-times even if children decide on how much of it they will eat. Routines can help with this e.g. encourage your child to stay at the table for the designated mealtime/ snack time with the food you are offering— even if he or she doesn't eat. Remember you can offer a snack later at next meal/ snack time. Watching TV, playing with iPad or grazing (going between play and picking at food) may not be supporting good eating habits. Fussy eating can be reinforced as they will now only eat when they have all the “conditions” they are demanding. Again, mealtime routines should be no more than 15-30 minutes and maintaining that routine means they will not miss out on favourite play activities. These regular eating breaks will be important for when they start school next year. They will not be able to graze through the day or eat while playing at school. School routines have designated eating times. Setting this concept up during the pre-school years assist in their transition to school. ​You can always ramp up the fun with food. Encourage the pre-school to help make meals or snacks. Serve broccoli and other veggies with a favourite dip. Cut sandwiches and other food into various shapes with cookie cutters.